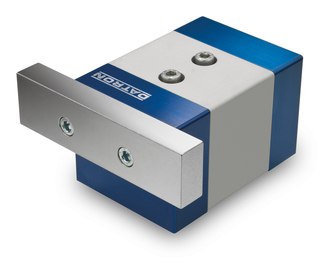 The short-stroke clamping element KSE-AS allows for automatic clamping operation. The clamping element is designed for operation on a T-slot plate, but can also be installed in devices so that it is fixed. High ease of operation and short resetting times. The DATRON short-stroke clamping element is a smart high-tech time-saving element. It is used everywhere where high flexibility, high operating comfort and short conversion times are required. 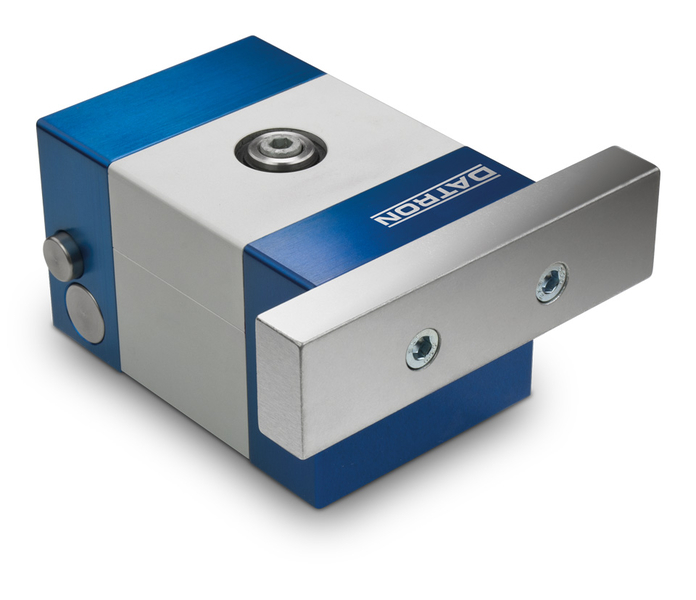 The clamping element is designed for operation on a T-slot plate, but can also be used stationary.